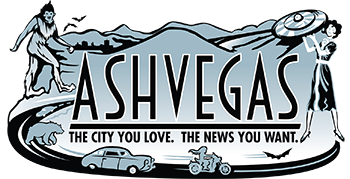 The Salvage Station, Asheville’s new riverfront concert and event space, has announced its first public event – a party on Sept. 20 held in conjunction with the zombie float that’s planned that same day. The Salvage Station is the work of Jimi Rentz, owner of Barley’s in Asheville, and his business partner, Danny McClinton. The SS hosted an Asheville Beer Week event earlier this year, but there haven’t been any other events there that I’m aware of. The Salvage Station, Asheville’s newest riverfront concert and event space, is proud to announce a free all-day celebration and official after-party for the “Tube-ocalypse: Zombie Float and World Record Attempt!” being held in conjunction with the local non-profit, Western North Carolina Alliance. The event will take place on Saturday, September 20th from 9:30 am – 6 pm with parking, food trucks, local brews and music from DJ Molly Parti, Lyric and The Krektones. Zombie culture enthusiasts and observers are invited to start their river adventure at the Salvage Station – an official parking destination and river let-off site. Festivities will begin at 9:30 am with music and an AM coffee truck to get participants charged for the day. Other food trucks confirmed for later in the day include Melt Your Heart, Doc Brown’s BBQ and The Low Down. Last month, the Western North Carolina Alliance and French Broad Riverkeeper announced an effort to beat Portland’s 2013 record for having a 620-person chain of tubers float down the Willamette River. 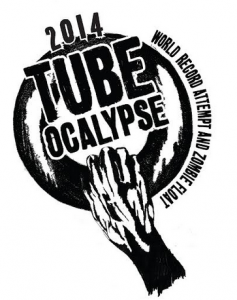 There are currently over 2.4k people RSVP’d for the French Broad River event on the official Tube-ocalypse: Zombie Float and World Record Attempt! Facebook event page. Salvage Station is located at 665 Riverside Drive along the French Broad River in Asheville, NC. Sounds fun. Too bad it’s on the same day as Brewgrass. Please, please, please don’t make it all hippy music. Some Country & Western? Some Punk? This town needs to shake out of its musical doldrums. Help us Jimi, you’re our only hope! Texas beat that record last month. Everything bigger and all that.